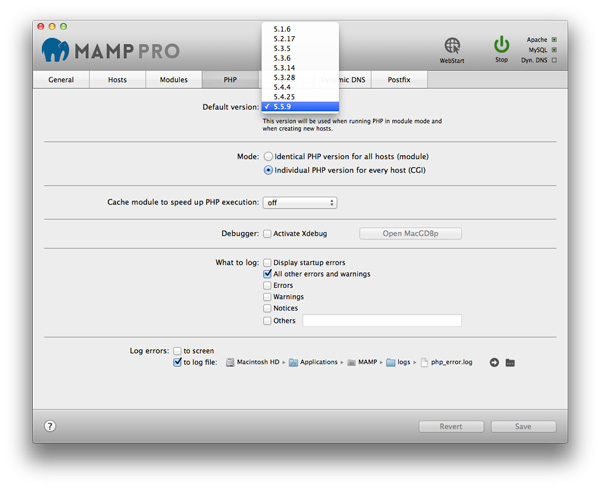 MAMP PRO 4.2.1 – Create a local server environment for Web development and more. Databases and/or tables can be mapped to hosts and can be automatically removed when a host is deleted. Newer versions of MySQLWorkbench from Oracle will be correctly recognized. If required network ports are blocked by non-MAMP software, you can let MAMP PRO find free ports on its own. Assets folder will now only be created when needed. Columns in the hosts table can be reordered and hidden. Hosts table can be zoomed to avoid horizontal scrolling. Scrappad data is preserved during application runs. Next story iStatistica 4.0.1 – Advanced system monitor. Previous story Mellel 3.5.5 – The word processor for scholars, writers, and long document writing. Paw 3.1.7 – Interact with Representational State Transfer (REST) services. Sparkle 2.0.1 – Visual website creator. Valentina Studio 5.5.8 – Free database manager for many databases.